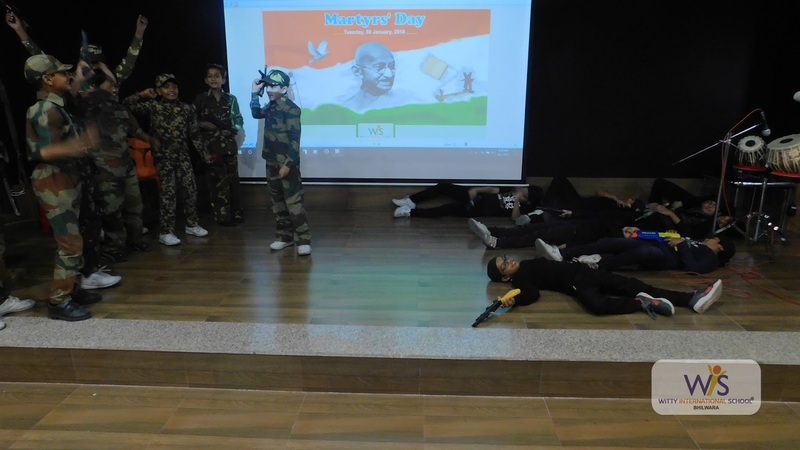 "The tyrant dies and his rule is over, the martyr dies and his rule begins". Martyrs day in India is celebrated to pay homage to the victims who bought for the freedom, welfare and progress of the India and sacrificed their lives. 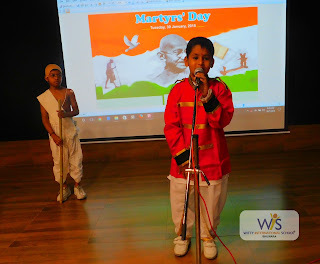 On the same day Mahatma Gandhi (Bapu) was assassinated in the year 1948 before the sunset during the evening prayer. 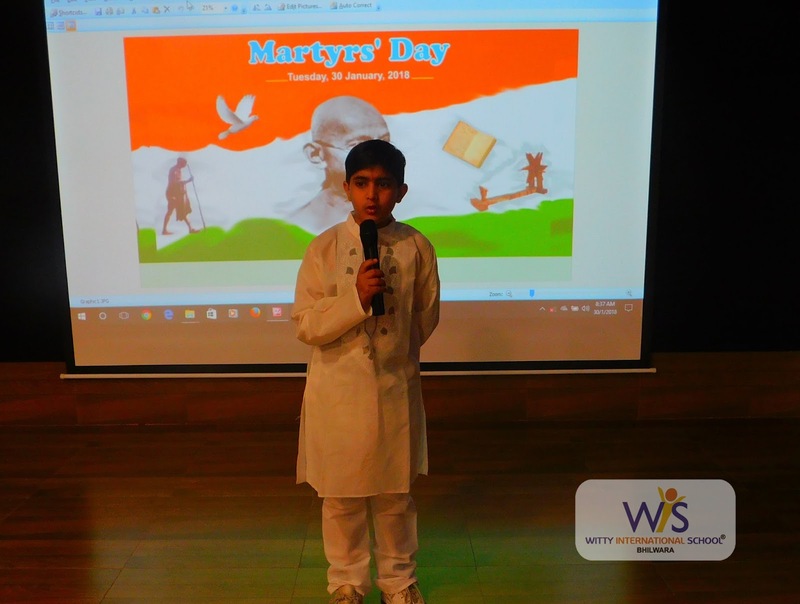 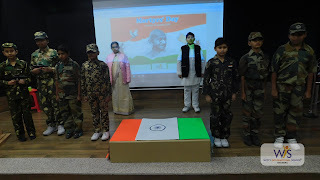 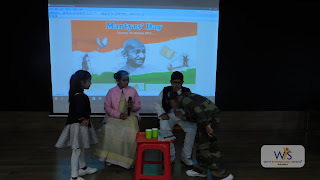 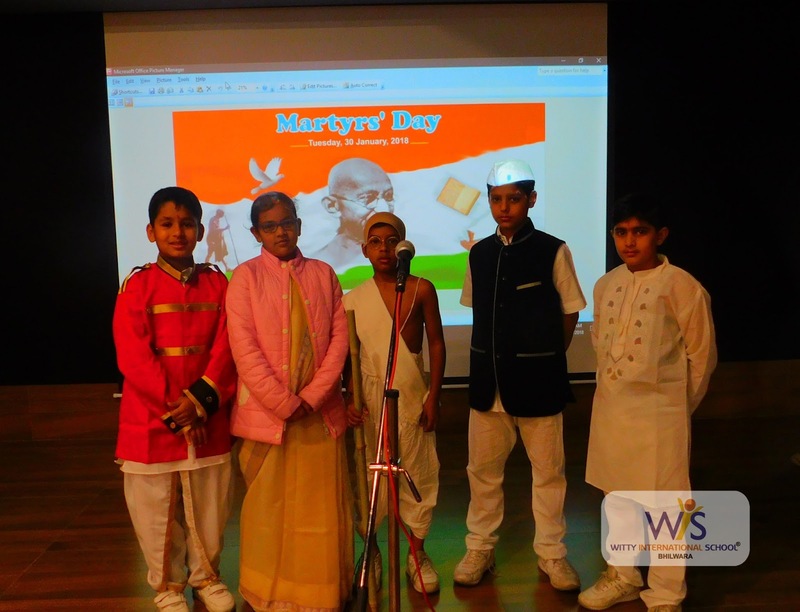 The students of Witty International School,Atun Road,Bhilwara celebrated "Martyrs Day" to pay homage to the freedom fighters on Tuesday, January 31,2018. A special assembly was presented by students of Grade VI .Students of Grade VI delivered speeches in which they told the importance and significance of the day. They also presented a skit to memorize all the Indian martyrs and pay tribute to them. 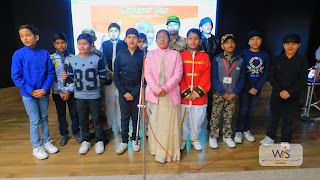 Students also gave the message of harmony, peace and brotherhood through a group song which they devoted to the great martyrs’ who sacrificed their life for the nation. Everyone in the school campus observed silence of 2 minutes to pay tribute to the father of the nation- Mahatma Gandhi.